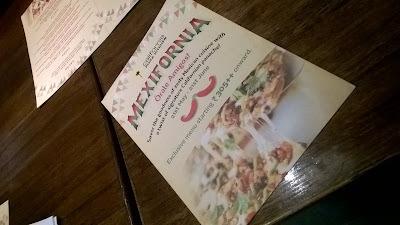 Recovering from a throat infection, I made my way to California Pizza Kitchen to enjoy the 'Mexifornia' festival. You can enjoy the on-going festival too, but only till 21st June. 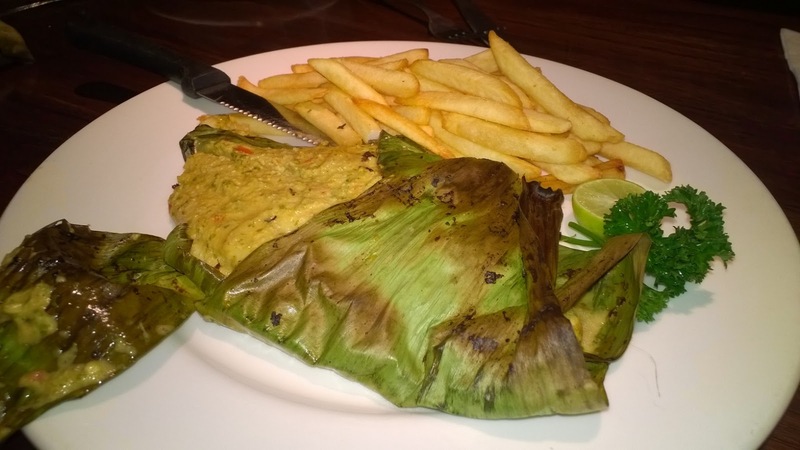 The exclusive menu starts from Rs. 305+ for one to savor the goodness of zesty Mexican cuisine with a twist of California panache. The menu varies from appetizers, salad, pizza, pasta, CPK speciality and desserts. The options are not much to choose from. 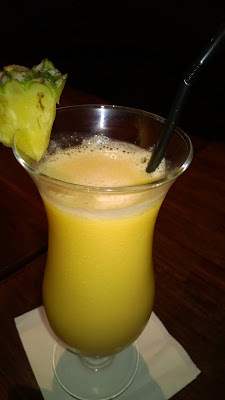 I started my evening with Aloha which had mango juice and peach syrup in equal quantity. I preferred it with no ice and for once, a warm juice did taste a little good. From appetizers, I tried Chicken Tomatillo Chille, chicken strips tossed with garlic, onion and trio peppers in new Mexican green chilli sauce. 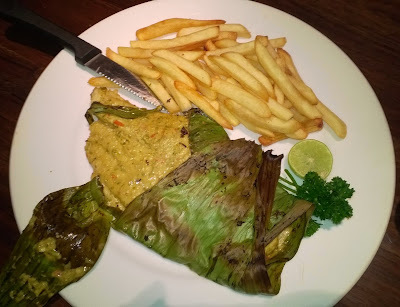 This is a spicy dish so if you are ordering one, then make sure you mention the level of spice in the dish. I personally liked it, may be because after a long time I had something spicy and on a rainy night, this could be the best dish on the table. 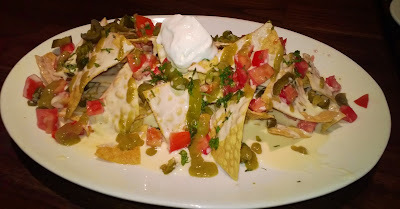 CPK Nachos was next which had California style nachos with cheese sauce, jalapenos and tomatoes. I was expecting some beans as it is Mexican cuisine but to my disappointment there were none. 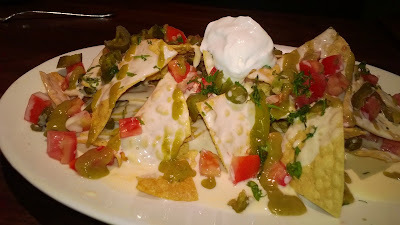 Tangy jalapenos, cheese with nachos were a wipe out on table till the mail course arrived. 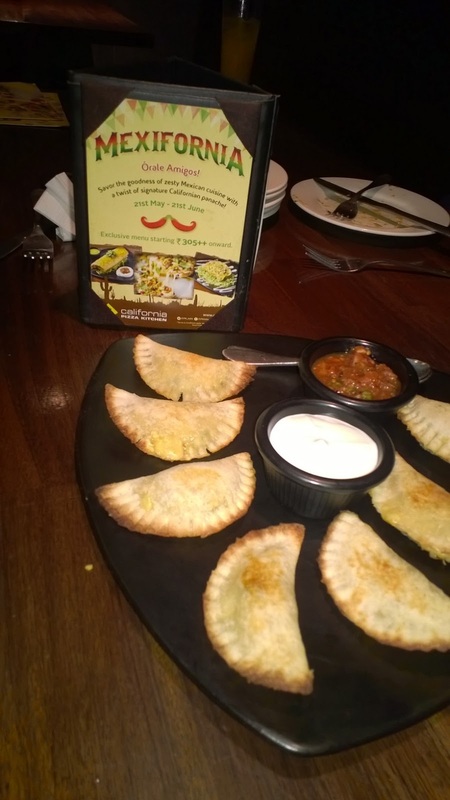 Corn and Jalapeno Empanada, sweet corn and jalapeno chilli with choose was baked to perfection. I found the filling less in the empanada's. 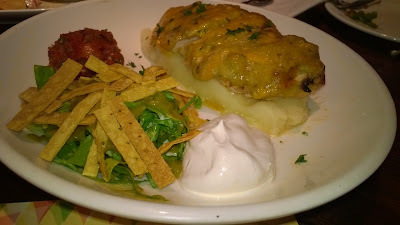 Southwestern Chille Chicken, grilled chicken breast with south west green chilli and cheese on a bed of mashed potatoes was good. The quantity of mashed potatoes matched the chicken. I usually have a problem with restaurants serving more mashed potatoes and less chicken. 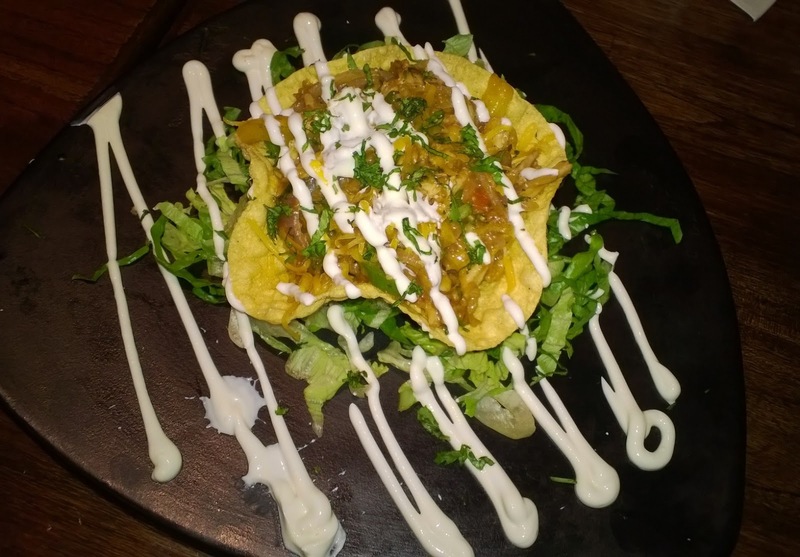 This was a balanced dish. Chicken Asada pizza is one of the hot selling from the menu and I decided to try it out. 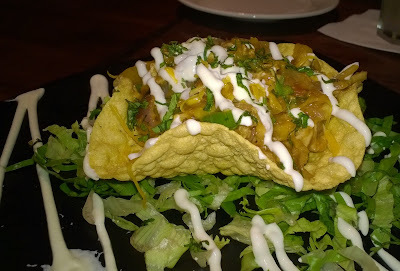 This is spicy again because of new Mexican green chilli sauce. 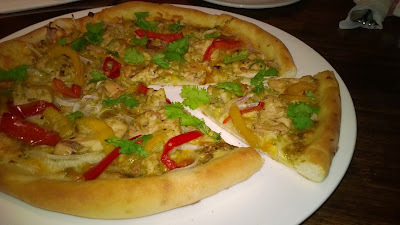 Cilantro pesto is one of my favorite topping on the pizza and clubbing it with sliced chicken would be the best one for me. This pizza has cheddar and fontina cheese and roasted peppers resting on their traditional crust. In Pasta, I tried Fettuccine Heide. This is the spiciest dish I have ever had, also the spice stays on your tongue for long. I just couldn't resist having it despite the spice. 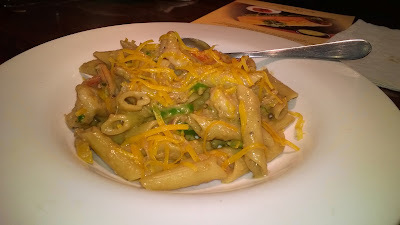 Fettuccine wasn't available so I had this with penne in Mexican green chilli sauce tossed with garlic, onion and peppers. New Mexican Basa fish in banana leaf was next. 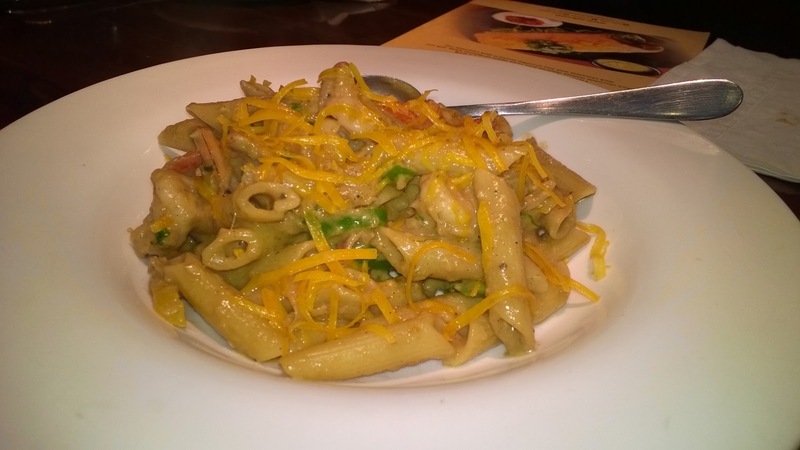 I have tried this earlier in many asian restaurants so wanted to see what CPK has to offer. 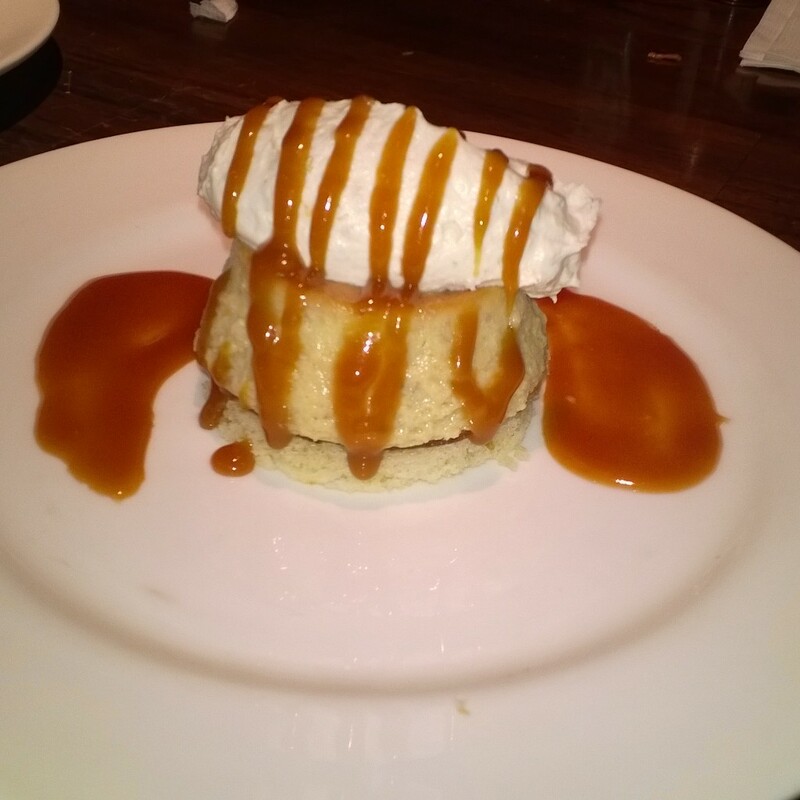 It is baked and the taste was different than the asian taste. I always love seafood and my love for it made me try it. 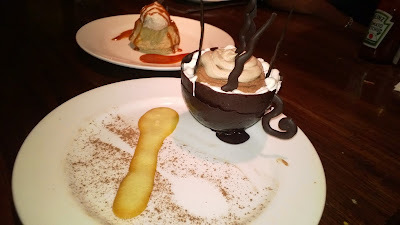 Trio of chocolate mousse was good too but my love for banana dessert was more. Rich chocolate mousse flavored with three layers of Mexican white, milk and dark chocolate with hint of coffee served in dark chocolate cup. 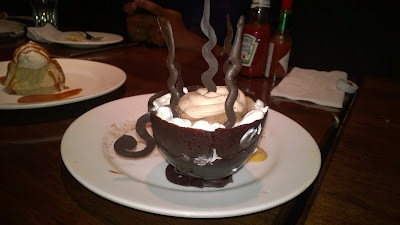 This was a fantastic looking dessert and my friends loved this more. The entire menu was average with few good dishes though the options were more in Mexifornia 2014. I enjoyed my dinner. 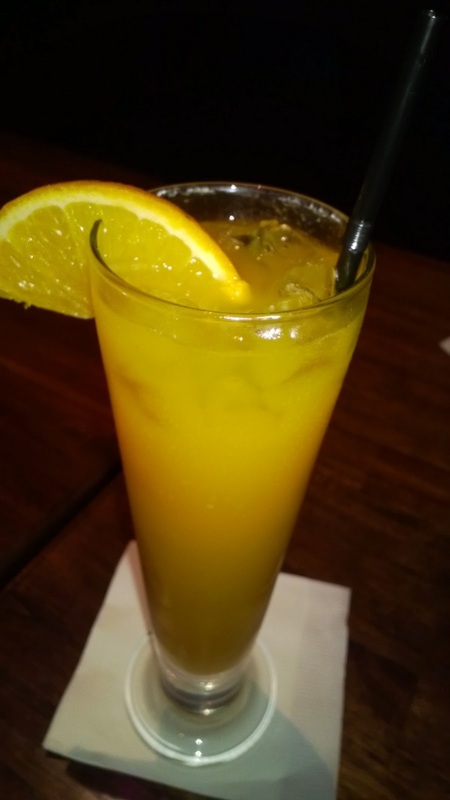 Hope you enjoyed reading my experience, Looking forward to know your favorites.